Upham Woods Outdoor Learning Center is a residential facility operated by the University of Wisconsin Extension and located on the magnificent Wisconsin River and amidst the bluffs of Upper Wisconsin Dells. Since 1941, the center has provided educational programs focused on environmental and leadership education. The property includes exclusive use of Blackhawk Island, a state-of-the-art low ropes challenge course, cabins, dormitory, main lodge, nature center, and multiple learning environments. Mirror Lake State Park has a 137 acre lake perfect for canoeing, kayaking, fishing, and swimming along with over 25 miles of hiking trails, and picnic areas. Camp is filled on a first come, first serve basis. Early registration for 4-H members starts March 1, open enrollment starts March 15. 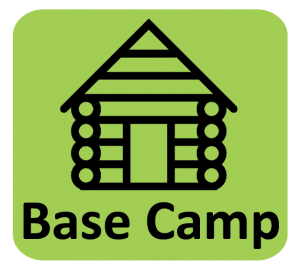 $210 General Camp RateBase campers will enjoy a wide variety of camp activities including archery, arts and crafts, swimming, canoeing, hiking and nature programs. Evening programs will include traditional campfire fun. 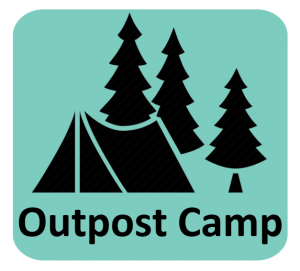 $210 General Camp RateOutpost campers will enjoy a wide variety of camp activities including wilderness camping, hiking, fishing, swimming and fun explorations of Mirror Lake State Park. Evening programs will include traditional campfire fun. Camp Upham consists of six large cabins and a large dining hall where three nutritious meals are served each day. Campers participate in programs in the large recreation hall, arts and crafts building, and nature building. Convenient showers and bathroom facilities are provided. Camp staff consists of full-time adult paid staff and volunteers along with youth counselors who serve as chaperones, role models and activity directors. Qualified health personnel are on site to handle any health or accident incidents. All campers are covered by accident insurance. Visitors are not permitted at camp.